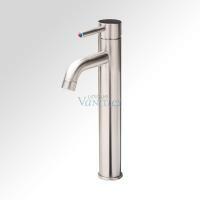 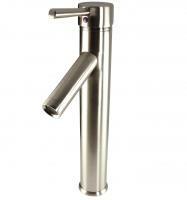 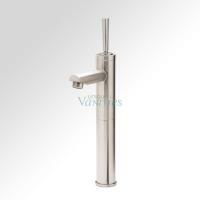 This tall bathroom faucet is the best choice for a vessel sink that has a deep bowl. The bright polish of the silver chrome will enhance the space where it is installed and is easy to take care of. 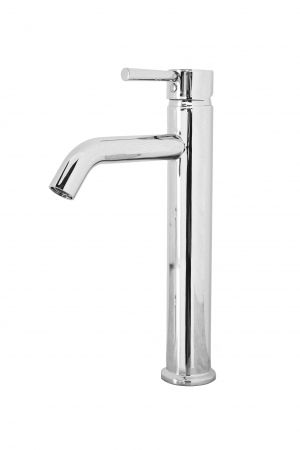 The water flow and temperature is controlled by a single lever.